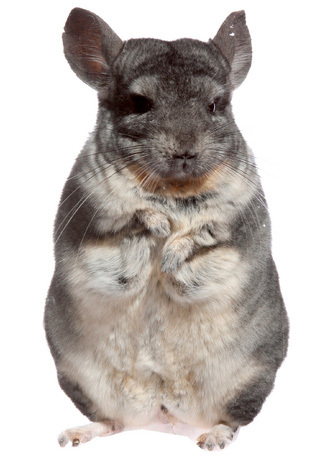 What do I need for my chinchilla? Once you have decided to add a chinchilla to your family, you want to make sure he is happy, healthy, and safe. To do this you need to have everything necessary for your pets well being. Below is a list of everything your pet will need for his home, diet, and health. A chew proof cage at least 16″ x 20″ x 16″ is the minimum size for one chinchilla. You should get the biggest cage possible so your pet has lots of room to sleep, play, and move around. Pelleted or shredded paper bedding material. A stoppered water bottle, food bowl or feeder, and a hay rack. Hide areas and tunnels for playing and sleeping. A large exercise wheel with a solid floor. Dust bin and dusting powder for bathing. A variety of chew proof toys to keep your pet entertained. Untreated wooden toys for chewing and wearing down a chinchilla’s ever-growing teeth. Commercial pellet food for chinchillas. Hay, Timothy or alfalfa hay are popular choices. Various treats including commercial pet treats, nuts, seeds, and dried fruits. A salt block as a mineral supplement. A vitamin C supplement. There is liquid vitamin C that can be easily added to a water bottle.